Loudoun County currently has 1,259 farms covering 121,932 acres, and agricultural products run the gamut. A USDA farm census finds Loudoun to be Virginia's leader in several areas. Big cloud storage farms are the 21st-century version of farms in Loudoun County, but the centuries-old kind still thrive. The U.S. Department of Agriculture’s first farm census in five years shows Loudoun County leads Virginia in several categories. Farmers who are women, Latino, Hispanic, Asian or have military service. Loudoun County currently has 1,259 farms covering 121,932 acres, and agricultural products run the gamut from hay to hogs, goats to grapes, as well as products made from what farmers produce, including beer, wine, cheese and wool. “The results of this census will help inform our decisions about our programming to support rural business development, workforce, ag education and much more over the next several years,” said Loudoun Economic Development’s Executive Director Buddy Rizer. Agriculture has found a new source of revenue in Loudoun County: agri-tourism. 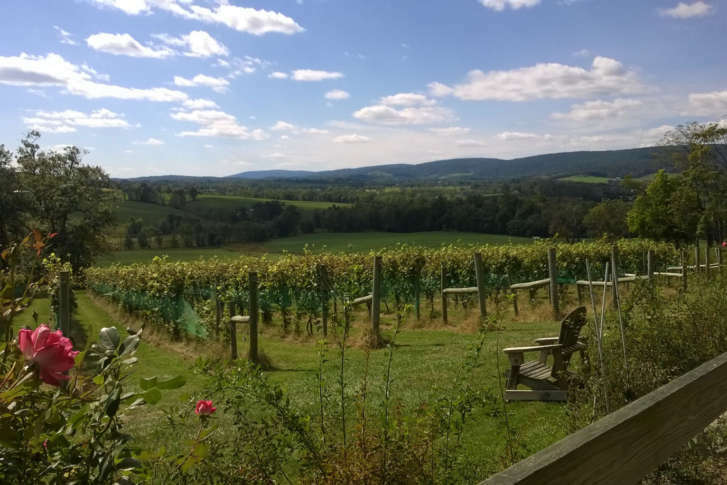 A 2017 study conducted by Virginia Tech, with the help of the Virginia Tourism Corporation and the Virginia Cooperative Extension, found Loudoun County accounts for more than half of Northern Virginia’s agri-tourism dollars — it’s not just the vineyards and wineries. About 13 percent of Loudoun County’s farms participate in agri-tourism, defined as any activity carried out on a farm or ranch that lets members of the public view or enjoy rural activities. That can include history and culture, harvest-your-own activities or natural activities and attractions. Orchards, Christmas tree farms and equestrian venues are among other agri-tourist attractions in the county.